Pay yourself first! Depending on your bank provider, you should be able to set this up directly via your online banking service. You can designate whether you want certain checks to go directly to this account, or whether you want to designate X amount of funds to be transferred monthly (or weekly). Also, keep an eye out for programs like Bank of America’s “Keep the Change,” which rounds up individual expenses on your debit card to the next dollar amount ($4.79, for example, would be charged as $5) then deposits the rest freely in your savings account. If your employer uses direct deposit at all, you can try to see if they will allow you to split your payroll check into two separate accounts. Imagine this scenario: It’s payday, and, immediately after your payroll check is deposited into your regular banking account, a fixed amount of income is automatically transferred to a super-secure online vault — without you even having to touch the money! If this seems ideal to you, consider an online-only savings account. It typically accrues higher interest does than a regular savings account — and has the added psychological benefit of a longer period between transfers to and from your primary checking account, forcing you to stop, wait, and reconsider whether you want to really spend that hard-earned dough on silk pajamas or magic beans before withdrawing a big chunk on a whim. Just as with a regular account, you can automate transfers from your checking account to your online savings account almost as frequently as you want. 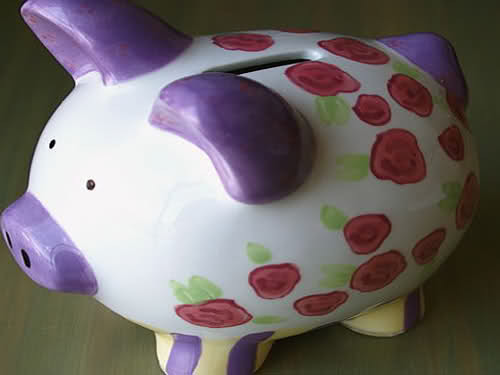 Some popular online savings account providers include Sallie Mae Savings Account and Ally Bank Online Savings. With payments that don’t change — like mortgages, insurance, car payments, etc. — you’ll probably want to set up automatic transfer between your checking account and the collector. You can do this through your regular bank. For expenses that change monthly — like credit card debt, medical bills, or cable and electricity bills — try setting up online reminders to pay, instead, since you might want to review these statements before taking care of them. Another way of tackling this is to set up recurring online Google or Microsoft Outlook calendar alerts (with a note of the estimated payment) and sync them to your mobile device. Be sure to check your checking account consistently to make sure you have money to pay those bills and avoid staggering overdraft fees, however. You’ll also want to make sure that services you’ve cancelled, temporarily or permanently, no longer automatically remove funds. Stick to your auto-paying guns, and the temptation of withdrawing your funds for frivolous expenses can fade over time. The future is a beautiful thing, is it not? This is a guest post from Joshua Bitton. Joshua is a freelance writer for Echo Sign. EchoSign is the leader of the 2nd generation of electronic signature solutions – 100% web-based, fully digital signature solutions that do not require digital signature pads, digital certificates or scanning software. With EchoSign, there is nothing to install or learn. Great idea. I was using Keep the Change with Bank of America but I’m now switching to Perk Street for checking and using SmartyPig for my savings. Automating that process. I set up reoccurring transfers to our joint account for the rent. Going to work on identifying more places to automate.